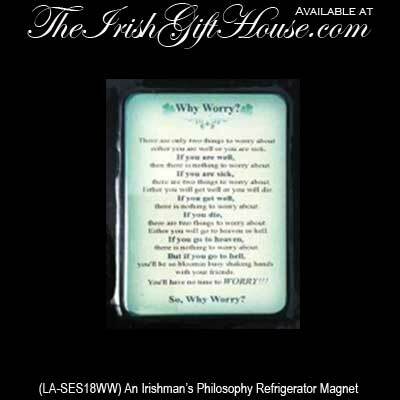 Why Worry? There are only two things to worry about: either you are well or you are sick. If you are well, then there is nothing to worry about: but if you are sick; there are two things for you to worry about: either you get well or you will die. If you get well, then there is nothing to worry about. If you die: then there are two things to worry about: either you go to heaven or hell. If you go to heaven, there is nothing to worry about. But if you go to hell you’ll be so blooming busy shaking hands with your friends you’ll have no time to WORRY!! !